Welcome to the wedding of Kellie & Justin. 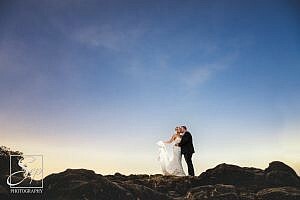 We captured this wedding a few weeks ago in Noosa. 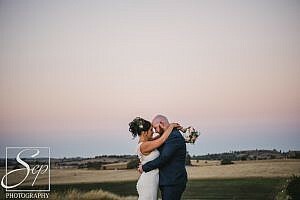 This was one wedding we could not wait to capture as Kellie & Justin are just awesome people and a lot of fun to be around. The ceremony was on the Main beach at Noosa! the day was spectacular and so was the atmosphere. 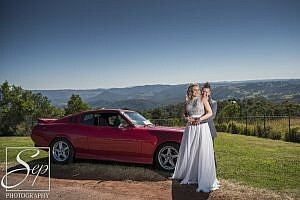 Kellie arrived in style thanks to Michael from Deluxe Kombi hire. Meanwhile we were just glad Justin was there as the day seemed like perfect fishing weather haha. After the ceremony we didn’t go far at all, with so many picture perfect locations at Noosa we kept it local. This kept things relaxed and we got some of the most beautiful skies we have seen in a while. With all the photos done we headed for the Noosa Boathouse where the room was elegant and music was in full swing. The night was perfect and we just felt like one of the guests as we met so many great people and had a lot of laughs. We would like to thank Kellie & Justin for choosing SEP photography to capture your day and we wish you all the best in the future.